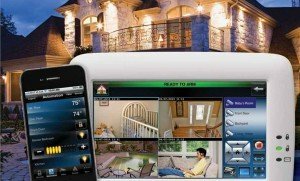 With the continued advances in technology, the features and applications of a professionally installed or DIY Home Automation Security System are now limited only by your imagination. Although stand alone home automation products exist, most modern wireless home security systems have integrated home automation capabilities right out of the box. 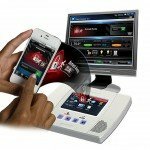 With a fully integrated and networked system, you can control a myriad of systems seamlessly with a single application from your system panel or any computer, tablet or mobile device. 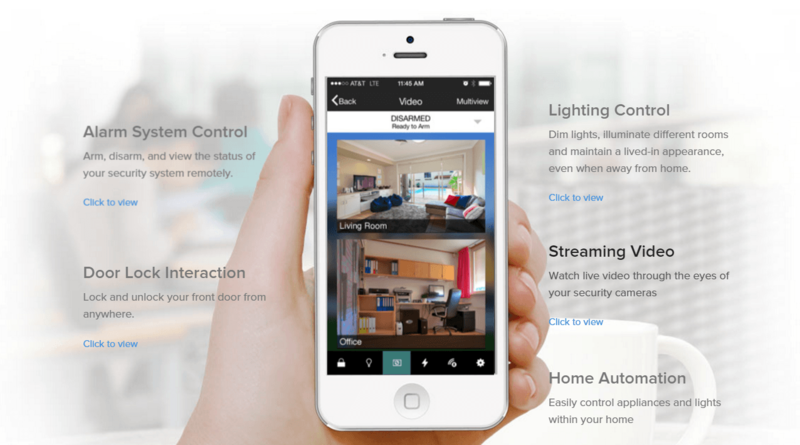 While each company offers slightly different applications and interfaces, the Honeywell Tuxedo Touch depicted above aptly illustrates the convergence of home security and home automation. But there are plenty of quality home automation suppliers. 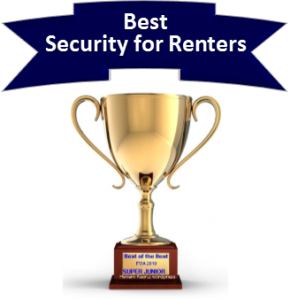 Our Top Pick as the 2016 Best Home Security Company, Frontpoint Security, has recently introduced their upscale,full color touchscreen panel by Qolsys….which is a home automation tour de force. This Z-wave technology is being employed by most of our top rated home security companies like Protect America, ADT, Livewatch and Link Interactive while SimpliSafe Home Security does not currently offer home automation. The best home security companies all enable the end user to control virtually any aspect of the security and home automation systems from the palm of your hand. 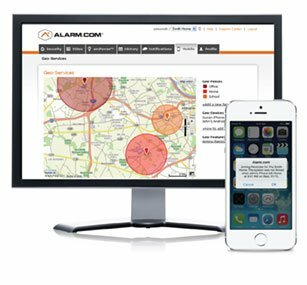 Smart Home as a Service (SHaaS) providers like Alarm.com, Total Connect , and ADT Pulse offer complete cloud based services which provide total system management on any iOS, Android, Windows or Blackberry device. The Alarm.com platform is so stable and feature rich that some companies have even scrapped their own proprietary mobile apps so that they can offer their customers an improved service. Protection One recently scrapped their e-secure platform and switched to the Alarm.com app. Because the systems are fully integrated, control of multiple functions can be programmed to occur simultaneously…or even scheduled to occur at a pre-determined time. For instance, a “wake up” scene might be created at 6:30 AM that would turn up the heat, turn on lights, open the window blinds and start the coffee. A “good night” scene might be scheduled to turn down the heat, lock the doors, close the blinds, turn off the lights and arm the alarm system….all with the touch of a button on the control panel or a tablet at your bedside. 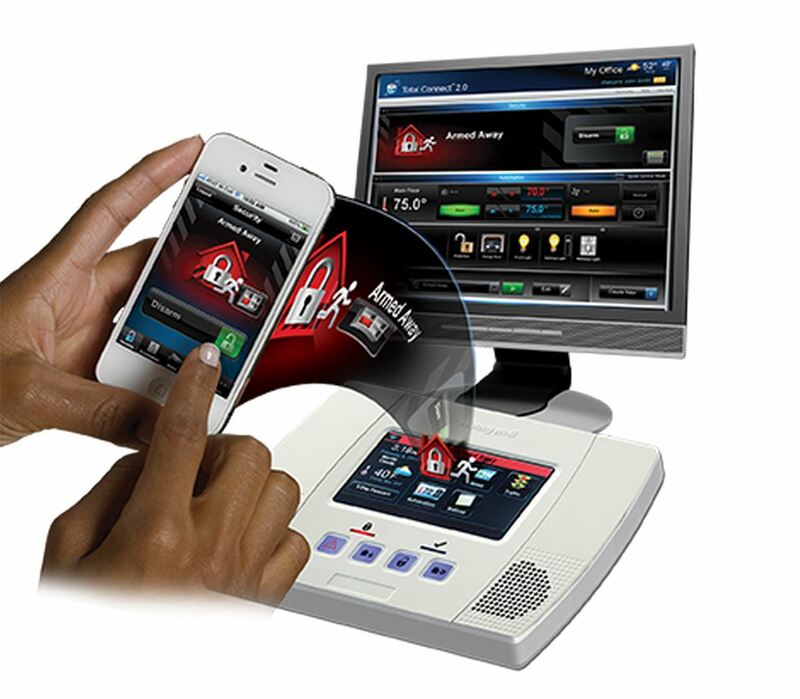 Some of the more sophisticated systems can even be controlled with voice commands. All functions can be independently controlled via the web application. This will allow you to turn on the AC, some lights and even a meal in the crock pot-all from the office. Imagine coming home to a warmly lit house, cooled down to a comfortable temperature and being greeted by the smells of a nice home cooked meal when you walk through the door! Sound too good to be true? Not with a “smart home” equipped with the latest home automation security system. 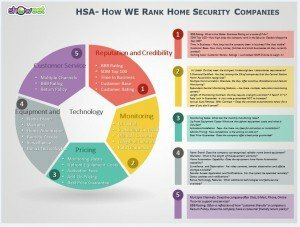 While these companies are banking on bringing security and home automation to their existing customer base…they are all relatively new to the home security business, and early customer reviews indicate that the initial customer experience may be less than stellar. 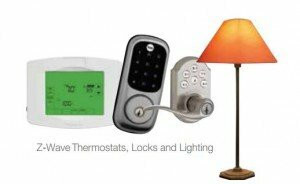 Overall, if you are looking to incorporate home automation features into a modern “smart home”, we feel that most folks would be better served by our Top Alarm Companies. Feel free to comment below on Features of a DIY Home Automation Security System and tell us what your favorite automation features would be. I use my home auto door lock to let in the dog sitter when I am at work! Works like a charm, and I don’t have to give here a spare key. What a great benefit! Soon we’ll all be wondering how we ever got along without this technology….Thanks for sharing your personal experience.